Jeffery, S, & Kimmel, S. (2017). 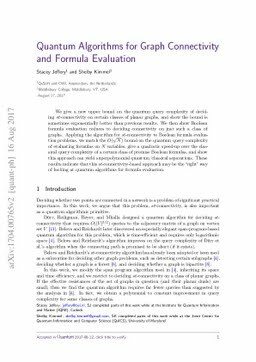 Quantum algorithms for graph connectivity and formula evaluation. arXiv.org e-Print archive.